Bryan S. Wright, Ph.D., is a pianist and musicologist based in Pittsburgh, Pennsylvania, where he is presently an instructor at the University of Pittsburgh. He is also the founder and owner of Rivermont Records, a label specializing in ragtime and jazz. In addition to performances as far afield as France, Japan, and Argentina, Bryan has been a featured pianist and lecturer at some of the most prestigious jazz and ragtime festivals across the United States, including the Scott Joplin International Ragtime Festival (Sedalia, Missouri), the West Coast Ragtime Festival (Sacramento, California), and the JVC Jazz Festival (New York City). He has also performed at the San Antonio Ragtime Festival (San Antonio, Texas), the Oklahoma Centennial Ragtime Festival (Tulsa, Oklahoma), the Blind Boone Ragtime and Early Jazz Festival (Columbia, Missouri), and the Central Pennsylvania Ragtime Festival (Rock Hill Furnace, Pennsylvania). As a musicologist, Bryan completed his doctorate at the University of Pittsburgh in 2016. He has written articles for the Grove Dictionary of American Music, Oxford Bibliographies Online, and presented papers at both local and national meetings of the Society for Ethnomusicology (SEM) and the American Musicological Society (AMS). In 2005 he was winner of the Lowens Award presented by the Capitol Chapter of the American Musicological Society. Bryan S. Wright, Ph.D., is a pianist and musicologist specializing in ragtime and early jazz piano styles. With his wife, Yuko, he has performed and lectured on ragtime across the United States and abroad and released two full-length solo CDs, Syncopated Musings and Breakin’ Notes. He is founder and executive producer of Rivermont Records, a Grammy-nominated label specializing in ragtime and early jazz. 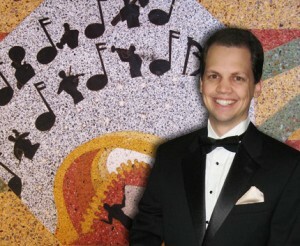 Bryan holds degrees in historical musicology from the College of William and Mary and the University of Pittsburgh, where he is presently an instructor.